Masked Arabs on Saturday stoned a group of Jews hiking near the Arab town of Kafr Maadma in Samaria. In recent weeks, rioters from Kafr Maadma disturbed public order on a daily basis. 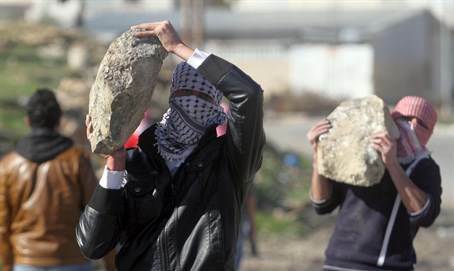 The Arabs approached the Jews, continuing to stone them, and the Jews responded by throwing rocks of their own. IDF soldiers who were at the scene used crowd dispersal techniques to disperse the Arab attackers. On November 30, children on an IDF-approved bar mitzvah trip were hiking near Migdalim. As the children were hiking, an Arab mob, mostly from the town of Qusra, attempted to lynch the children. The accompanying parents, who were acting lawfully as armed escorts, shot at the Arab terrorists, killing one of them.